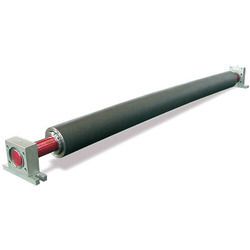 We are a leading Manufacturer of textile rubber expander roller from Ahmedabad, India. These Textile Rubber Expander Roller are available at different ranges and prices in the market as per the demand of our clients. The important advantage of these products is that they are especially used as wrinkle remover devices in different types of industries. The performance rate of these products is very high. They are available at affordable prices in the market that is why they are highly demanded. These expanders are especially used for delicate materials such as very thin film but also in textile industry.